The cornerstone of Bussey's philosophy is that we must all be, "warriors of life". 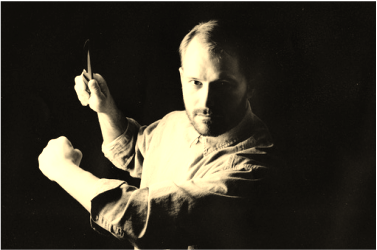 His deep respect for life and dedication to pragmatic training led him to certain technical discoveries which are now considered ground breaking. 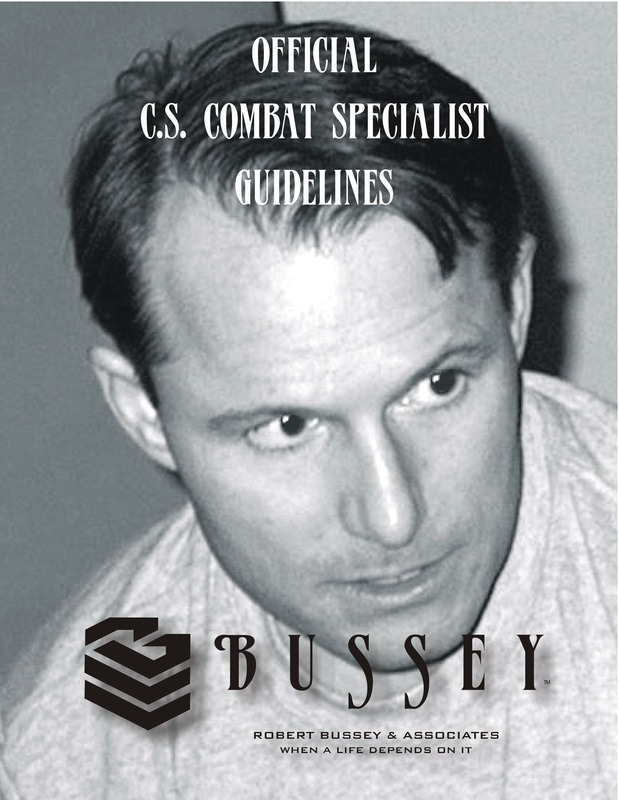 Long before the trends of MMA, Bussey trained individuals in "no rules fighting" and his diverse teaching encompassed a wide variety of protection skills that ranged from contact sparring with weapons to surviving in urban and wilderness environments. He worked extremely hard to de-mystify the martial arts and coined simple terms such as "reality-based martial arts", "five second fighting" and "fatal tendancies", a term he used to describe non-effective habits that result from impractical training. He branched into all areas of self preservation and instilled a sense of moral responsibility in all who practiced his style. This is an exerpt from the "Guildeline" book which reveal some of Bussey's concepts, many of which have impacted the protective landscape and inspired those individuals seeking realism. body commonly react to impact and pain? What are the immediate response mechanisms of individuals defending against the onslaught of multiple strikes? How does the human body react when a person is resisting the efforts of another? Recognizing these predictable traits makes it much easier to see what will and will not work in a fighting environment. but leads to the kind of true self-confidence that a Combat Specialist can obtain. It is imperative that the rehearsal processes of combat training resemble the kinds of real-life scenario’s that take place in the field. As times change, one must be aware of looming potential threats and adapt and develop pragmatic countermeasures. If one can remain alert and relaxed, it becomes easier to take action and perform at a higher level. This RELAXATION / PERFORMANCE LINK are recognizable with professional athletes, master technicians, or artisans, just to name a few. A combat specialist is no different. Besides understanding reality-based maneuvers, he/she should be constantly shaving off the rough edges and personalizing the methods. as it relates to survival. Knowing a syllabus of techniques is not enough. Understanding timing, speed, and distance is also important. Often, it is the PERSONAL ZONE & THE RINGS OF RANGE that will determine which TRIGGER RESPONSES should be used. These instantaneous trigger responses are the combined result of both repetition and sure-fire technique. They become even more effective when we factor in what the opponent is likely to do once you make your move. Of course, real violence is not mechanical or choreographed. THE PRINCIPAL OF RETRACTION is the initial defensive jolt that takes place when threat or impact is present. In real fighting for example, a punch is not static or extended for any length of time…it is extended and retracted with potency. Consequently, any defense should be practiced against a retracted punch. "The body will react in a manner similar to how it has been trained"
With regard to weapon retention, an armed individual will usually retract his weapon when any effort is made to disarm him. Therefore, any disarming maneuver attempted by the defender should factor in the principal of retraction. Be careful what you practice. The bad habits associated with choreographed defense and traditional static practices result in FATAL TENDANCIES. Under pressure, you will need reliable, tested tools. Because the body will react in a manner similar to how it has been trained, it becomes clear that impractical training could have fatal results. One must guard against the practice of building bad habits that are too far removed from the reality of what can actually happen during an encounter. Defenders trained by me know that anything can happen and therefore employ a very unique shielding strategy I call, the HIDDEN MOTION PRINCIPAL. Essentially, one should hide behind every defensive as well as offensive maneuver as extra protection from unexpected surprises. This hidden motion is a staple of Bussey movement and a virtual life-saver in a no-rules situation. Of course, the safest advice would be to avoid and defuse any kind of potential danger, but that prospect is not always possible so the importance of being ready-to-go is vital. When red flags are recognized and it's reasonable to assume that an explosive situation is at hand, one should be on alert and in a state of COMBAT READINESS. This state of Combat Readiness should be present before, during, and even immediately after the encounter so that the defender is not caught off guard. The result of these action principals flowing in an improvised yet fully-prepared way is when LIVING MOVEMENT takes place. A kind of performance zone, this state of living movement allows one to react naturally and pragmatically within the boundaries of circumstance. ​Avoid self deception as it relates to your preparedness and know your enemy as well as your own strengths and vulnerabilities. There is no process with which you 'arrive', but rather a continual pursuit of knowledge and skill necessary to adapt and survive to ever-changing threats. Further, I subscribe to a larger spiritual component; that our fight is not against flesh and blood but against principalities and powers.